Holli Tonyan graduated from UCLA's Graduate School of Education and Information Studies with a PhD in Psychological Studies in Education. She has since completed a Postdoctoral Fellowship in Developmental Science at UC, Santa Cruz and worked as a Lecturer at Monash University in Melbourne Australia. 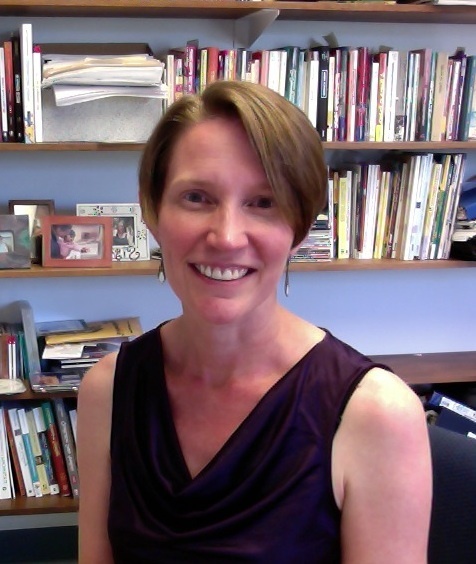 Holli's teaching interests are in Developmental Psychology and Qualitative Research Methods. In	addition,	she	is interested in helping CSUN students find pathways into applied developmental work and research - understanding the settings and factors that help children grow up safe and secure in all the environments they live in. Her research interests are organized around understanding children's development as part of social and cultural contexts and the vision that adults can create spaces for young children that nurture their full potential toward a variety of ideals of life (and not just certain ideals for development). Drawing from the work of Thomas Weisner in developing Eco-Cultural Theory and Barbara Rogoff's sociocultural theory, her current research focuses on how adults' ideas about children influence the kinds of activities they provide for children in child care settings, particularly family child care (i.e., in California that means licensed child care for up to 14 children provided by 1-2 adults in a home setting as a small business). Although most people think of child care centers or "babysitters," when they think of child care, many more child care sites in the San Fernando Valley are based in homes than in centers, and many of the nation's most vulnerable children spend more hours in family child care than in center-based care. Despite it's importance in children's lives, little research has examined this complex site for child development. By talking with family child care providers about their daily life, this research uncovers the cultural aspects of children's daily life that often go unnoticed. The ultimate goal of this work is to understand why and how family child care providers do (or can learn to) support children's healthy development, including healthy weight, physical activity, and stress regulation. Another line of research looks at the conditions under which family child care providers engage in quality improvement initiatives. Because of grant-funded research I am currently teaching very few courses. In fall, 2016, I will be teaching PSY 485GT/S (Advanced Inquiry in Research and Analysis Methods: Grounded Theory). In Spring, 2017, I will be teaching PSY313 (Developmental Psychology). I am also an active mentor for a number of on-campus programs. Tonyan, H. A. (March, 2015). Sustainability of daily routines as resilience in the face of difficult working conditions. In H. A. Tonyan (Chair), Home based care as a context for supporting children’s development: Researching providers, programs and interventions, a poster symposium presented at the biennial meeting of the Society for Research in Child Development, Philadelphia PA. Handout in pdf format. Tonyan, H. A. (November, 2014). Opportunities for children’s learning and development in home-based care. In H. A. Tonyan (Chair), Engaging Home-Based Care Providers in Quality Improvement. An invited breakout session at the annual meeting of the Child Care Policy Research Consortium, Washington, DC. Handout in pdf format. Torres, J., Corral, L., Ayala, I., Bahner, A., & Tonyan, H. A. (March, 2015). The complexity of family child care homes as a setting for children’s development. Poster presented at the biennial meeting of the Society for Research in Child Development, Philadelphia PA. Handout in pdf format. Lee, S. Y., Villegas, C. A., & Tonyan, H. A. (March, 2015). Strengthening caregivers beyond families: Experience and work-related stress in family child care settings. Poster presented at the biennial meeting of the Society for Research in Child Development, Philadelphia PA. Handout in pdf format. Tonyan, H. A. (2013, April). Understanding Home-Based Care as a Culturally Organized Ecological Niche: Cultural Models and the Organization of Daily Routines. A poster presented April 20, 2013, at the biennial meeting of the Society for Research in Child Development, Seattle, Washington. Tonyan, H. A. (2013, April). Cultural models as mediators of what is possible in a day. Presentation to the Roundtable session “Getting Beyond the Zone of Proximal Development: Further Possibilities for Strengthening Early Childhood Education through Cultural-Historical Analyses” at the annual meeting of the American Educational Research Association,San Francisco, California, 28 April, 2013. First, check our our research projects by following the links above. If you are interested in joining the lab and getting involved in current research, please complete an application and then let us know you did (see my email link at right). If you don't hear from us right away, send an email to follow-up. We will have a combination of volunteer opportunities and paid positions available. Are you seeking a letter of recommendation? Please download and read some guidelines by me and also check out http://www.csun.edu/plunk. Before you email me to request letters, please download and complete a table with the information I will need. I prefer it if you send me an electronic copy of the table. Also remember that many times you need to sign a copy of a form to go along with my letter - be sure to provide me with a signed copy of the form! Dr Tonyan is a member of the following organizations. Dr Tonyan is interested in the following organizations which may also be of interest to visitors to this site. Help me help you! Please see the notes to the left for more information if you are seeking a letter of recommendation or you would like to join my lab. We are also conducting research in an additional rural county through generous funding from First 5 California! Faculty Senate Award for Distinguished Teaching, Counselling or Librarianship!